Living a frugal life is not an easy enterprise. It requires a certain level of determination, focus, and knowledge. It is a radical change in lifestyle, saving, and spending habits. So here are a few tips that can aid in living a more frugal life so you can get ahead financially. Buying quality clothing does not necessarily mean buying designer. Spending more money on quality clothing is often a frugal approach since they last longer. More often than not, errors are made in bills and without careful observation, can incur unneeded expenses; review your phone bills and credit card statements for erroneous charges. Try taking a walk, jog, or swim. It saves you the expense of paying a gym membership. Growing food is not as hard as it sounds. Buy a few gardening tools and seeds and you are on the right course. Keeping your home clean saves you money. That way you can save a lot more money on cleaning products. You don’t have to buy expensive cleaners to wipe up a smudges or stains if you can avoid it all together. Forming good habits to take care of your clothes, saves the expense of buying new outfits. So learn some DIY tricks to fix your clothing so you can save a lot of money! Living a more frugal life requires a change in life style, it is achieved best by taking little steps towards the change and making minor adjustments to your present lifestyle. Making your own bread can save you a lot of money. It’s a staple for many meals, so it only makes sense! Learn how to drink just water especially when you eat out. It’s definitely healthier and will be that much less on your bill. A personal printer is not required if there is no special need for it at home. Printing documents at work can save you the unnecessary extra expense of a home printer. Use less of everything, be less wasteful regardless of how much of that one thing abounds. This could be anything from laundry detergent to even a certain type of food. Poor health can really hurt you. I’ve known some who put off having dental care for years thinking they were find and ended up having to spend thousands to repair their teeth. Take the necessary steps to get preventative care. Take free online classes, knowledge is power. Knowledge is priceless and will get you ahead in side hustles or your career. Try shopping in smaller supermarkets. These supermarkets exist to serve people on a smaller budget or with larger families and are predominantly stocked with raw materials as opposed to the major markets who sell prepackaged stuff which are easier but more expensive. 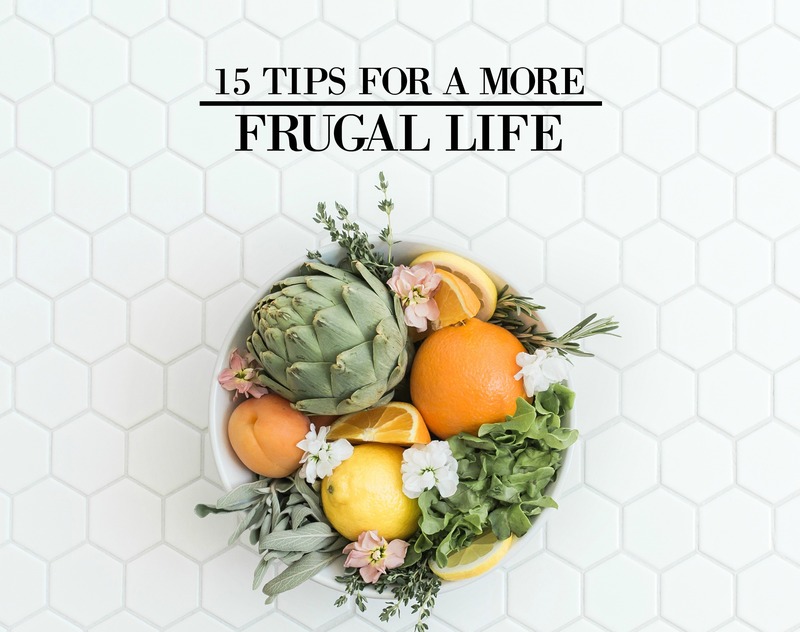 Now if you have any questions about these frugal tips, feel free to ask me in the comments down below! I’d love to help! Love the article. Simple and to the point. Thank you so much Usmama!